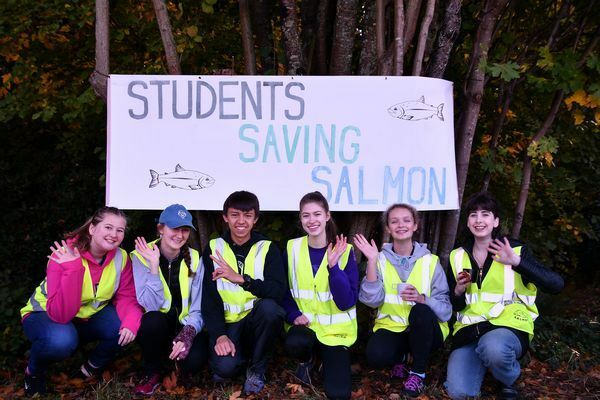 It was a perfect fall Saturday morning as the Edmonds-Woodway High School Students Saving Salmon club gathered with club advisor Joe Scordino and others to continue their restoration work along the banks of Shell Creek just south of Holy Rosary Church. Saturday’s plantings included Salal, Snowberry, Western hemlock and Sitka spruce. The plants were provided through funding from the Rose Foundation and their Puget Sound Stewardship program.